If you’ve never eaten at Barn’rds, please call me. We’ll go together. I freaking LOVE this place. I’m not sure why I’ve waited so long to review it. You know how people rave about Arby’s? I do NOT like Arby’s. Occasionally I’ll think I crave their curly fries and Arby’s sauce, only to eat it and remember their fries have a funny taste (almost like dirty grease?). Sure they’re crunchy and all the other things good fries should be. And don’t even get me started on Arby’s “wonderful” roast beef sandwiches. I’ve tried them. Several times. I used to assume I was just getting an odd bad sandwich. But, nope, they really just aren’t that good. 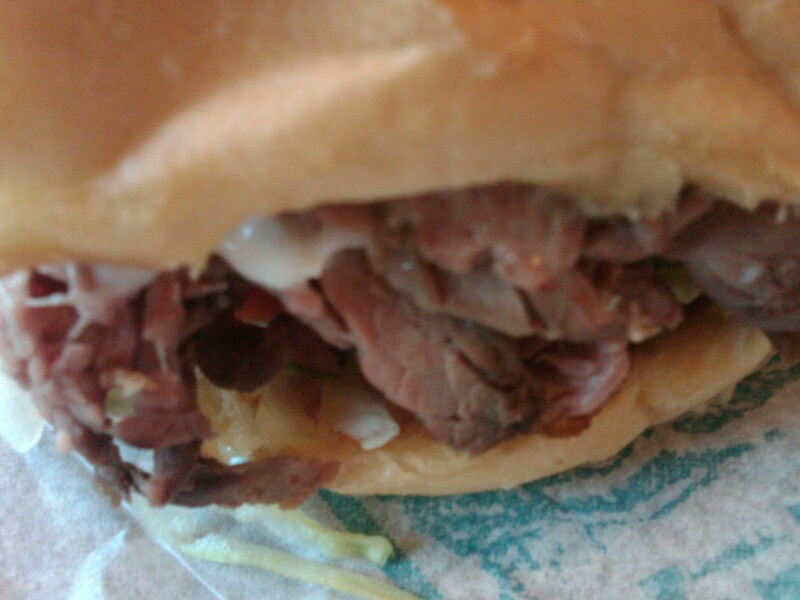 Go to Barn’rds and you’ll know what a good roast beef sandwich is. I PROMISE. I’m salivating looking at this little guy.